You’re invited! Share with friends! 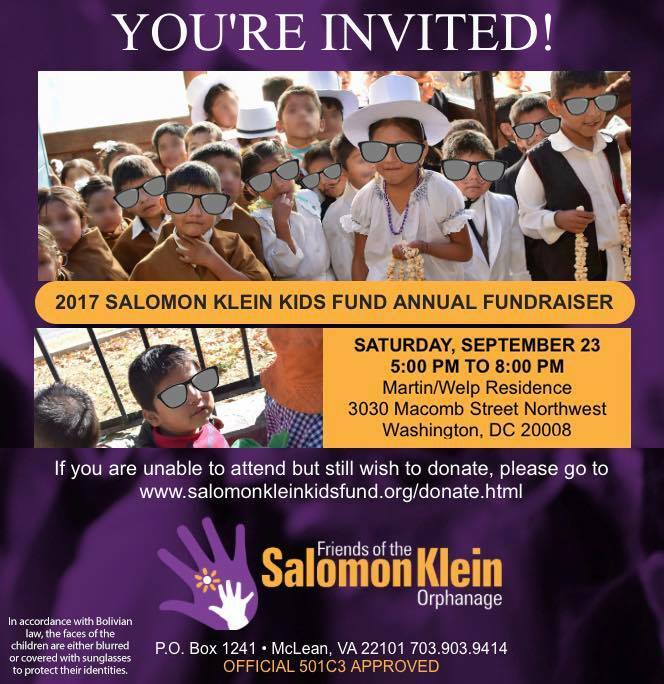 We are holding our annual fundraiser for the Salomon Klein Orphanage (located in Cochabamba, Bolivia), on September 23 in Washington DC. You will learn about the foundation, the Orphanage, and about the 160+ beautiful children who live there. 100% OF ALL DONATIONS goes to the orphanage and are tax deductible. Click the Evite below if you would like to attend!